This post is over a full month late but I feel it’s still important to say. So sorry and please continue. Ok don’t fire, just vote. Why voting matters and why YOUR vote matters. What are some of the differences between politics in the USA and Canada. “Why do I always write about big topics?” I thought to myself out loud while typing my internal monologue. Hmm, as my Mama would put it, as a kid I had ‘big thinks’ (my term). I guess I still do. Let’s dive in! What you think matters. It does, and furthermore, someone important is counting on you to put your faith in them. 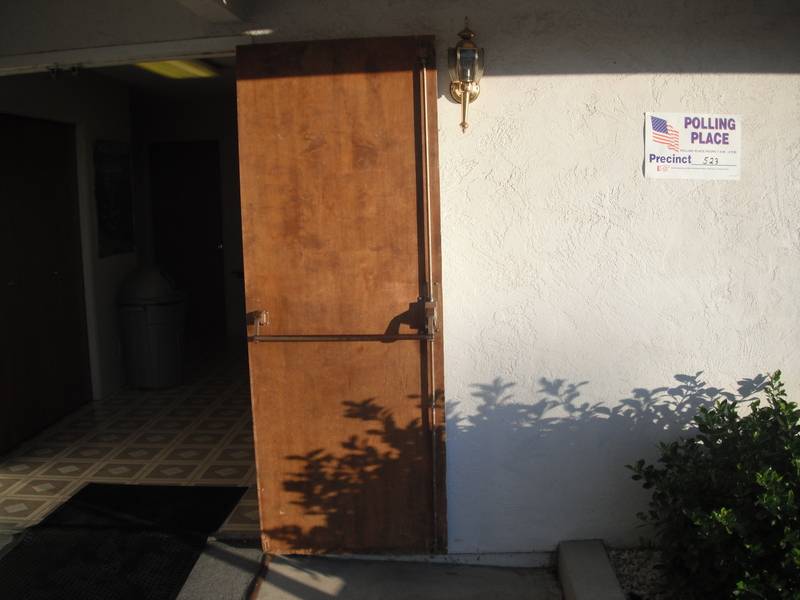 The act of casting a ballot cements that faith into reality. Should they not win, well, you did your best; and that is what counts. That and your ballot. Voting also gives you authority. By voting you participate in the continued shaping of a nation, in this case America. It also brings the ability to hold your leaders to account for what they’ve promised. If you don’t vote, then in my opinion you have no right to say anything, good or bad about your government or its influence on the state of your nation. If you do nothing, then you get to say nothing. The numbers do matter. This is the beauty of democracy. Individually no one has the power to effect change. But in aggregate we are a powerful force. I’ll not talk too much about it today because I want to dedicate a whole post to this. But suffice it to say that the reason guerrilla fighters or the group known as ‘anonymous’ are so effective is because they are groups of individuals acting towards a collective goal. If no one acts, nothing happens. But if you can get a movement underway, then really powerful things can happen. But this is a tangent. As a christian, if you are one (who knows maybe you worship rocks or place your faith in humanity), you are a representative of Heaven here on Earth. You have dual citizenship! You get to speak into a nation in a way so directly it boggles the mind. Don’t pass that up. In Canada we check one box. Now don’t get me wrong, I think it’s awesome that Americans can say so much (on their ballots). I personally wish we could vote for our MP (Member of Parliament, essentially US Representative), as well as our party leader. I’ve been blessed with an MP, party, and party leader I love. But this is combination is rare and not representative of the whole. In America, you vote on all kinds of stuff. City councillors, city treasurer, coroner, school board supervisor, state propositions on laws, oh and the VP and Prez. In California the ballot is a two sided 11×17″ page. I heard (though didn’t confirm) that Florida’s ballot was six sheets stapled together. To me this seems excessive. However, the handling of the whole affair is wonderful. When you register to vote you are sent a 60 page booklet outlining everything you need to know about what you’ll be voting on. Much as it was a chore, I thoroughly enjoyed taking two hours one evening last month, reading through and deciding my positions on everything short of the president. I didn’t take a picture on the inside, but it was straightforward. Big arrows on the floor to direct you, friendly volunteers, all good things. One difference is that at the end you get a sticker! 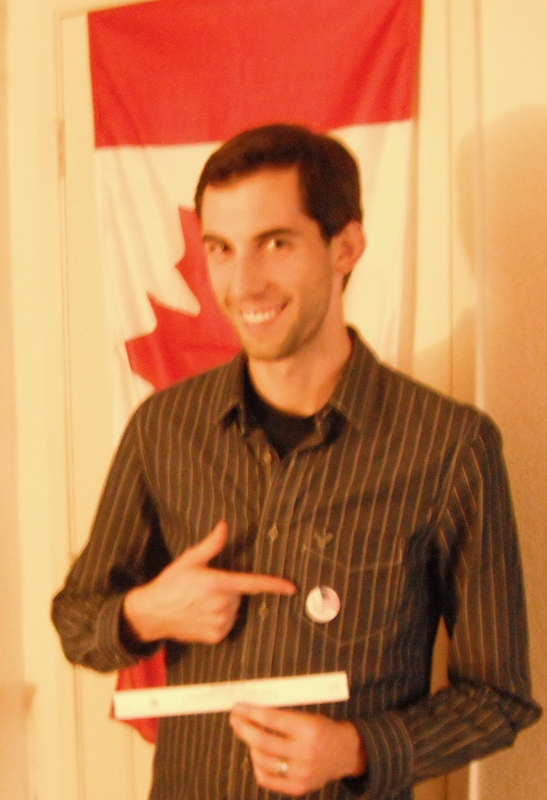 After voting, pointing at my ‘My Vote Counted!’ sticker. Ironically, the party leader debates in Canada is an infantile shouting match, whereas the American debaters were polite, almost cordial to each other. I was going to provide resources to inform you before voting, but since we’re after voting, I won’t bother. Anyway ta ta for now!